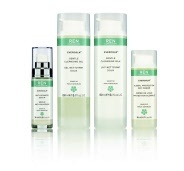 The REN Bio Retinoid Anti-Ageing Skincare Duo is designed to reduce wrinkles and regenerate the skin. 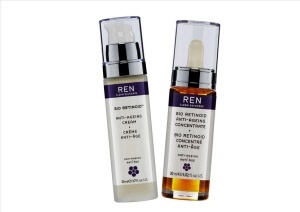 REN Bio Retinoid Anti-Ageing Duo helps to correct lines and wrinkles and shows retinol results without irritation. 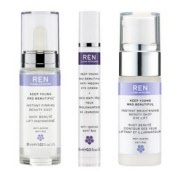 Why choose REN Bio Retinoid over other REN skincare products? This range targets skin lacking radiance and suppleness, depth of wrinkles, firmness and dryness. What are the benefits of using REN Bio Retinoid? Smoothes wrinkles, rehydrates intensively, plumps and restores radiance and detoxifies and repairs UV damage. REN Bio Retinoid Anti-Ageing Cream Hydrates, Protects And Reduces Wrinkles. Reduce Wrinkles, Regenerate and Hydrate with REN Bio Retinoid Anti-Wrinkle Concentrate Oil.